A lot of what we used to consider to be superstition of previous civilisations now reveals itself to be the core of the secret sciences of ancient people. The similarities between the world’s pyramids are studied by many. 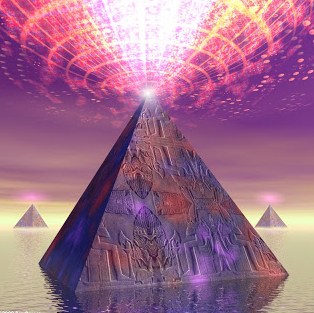 It is becoming clear that pyramids serve not only as batteries, but also as energy transformers. The pyramids accumulate electrical and magnetic energy, and it concentrates these energies and radiates them into the space around them. The pyramid shape is unique in that it is able to do this. Many experiments have showed that pyramids have a very positive effect on our immune system, and thus they are beneficial for our health. Pyramids balance and energise the body, which helps it heal, gain vital force, and release stress. People have used pyramids for healing joint pain, rheumatism, colds and the like.